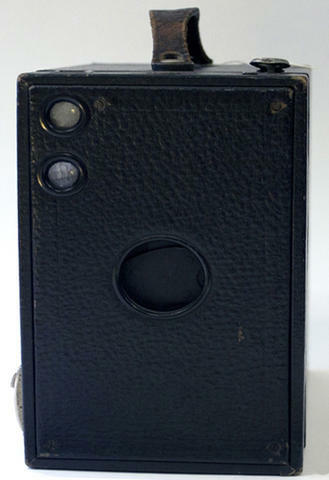 Item is a fairly large box camera, for 6 7.5 x 12.7 cm (3 x 5") exposures on Kodak 130 film. Simple lens and rotary shutter. One viewfinder is broken. Shutter still works.